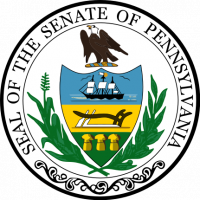 The Senate GOP has dumped Dominic Pileggi (RINO, Delaware) as Senate Majority Leader in favor of Center County Republican Jake Corman. If there’s any one person who I think deserves the blame for losing the Governor’s mansion, it’s Pileggi. He, along with a handful of other Southeast Republicans, blocked the Corbett Administration from accomplishing anything, including liquor privatization, which was wildly popular with voters, even voters in the Southeast. If we end up losing on the germaneness issue with enhanced preemption, likewise, you can blame Pileggi and Stu Greenleaf (RINO, Montgomery), who held up the bill long enough that a floor amendment to an existing bill was the only path forward. Maybe now we can see some progress from the GOP Senate, just in time to have everything blocked by soon-to-be-governor Tom Wolf. Possible Germaneness Issue in Preemption Bill? Good news is always welcome! For the next four years the PA GOP will pass bills they know Wolf won’t sign. Then they’ll have a rally cry in 2018 for the Governor candidate. We’ll get liquor bills passes, SB76 will pass, pension reform will pass, school choice will pass, and right to work will pass. All of them will be vetoed by Wolf.